So here’s a fun one for you all. 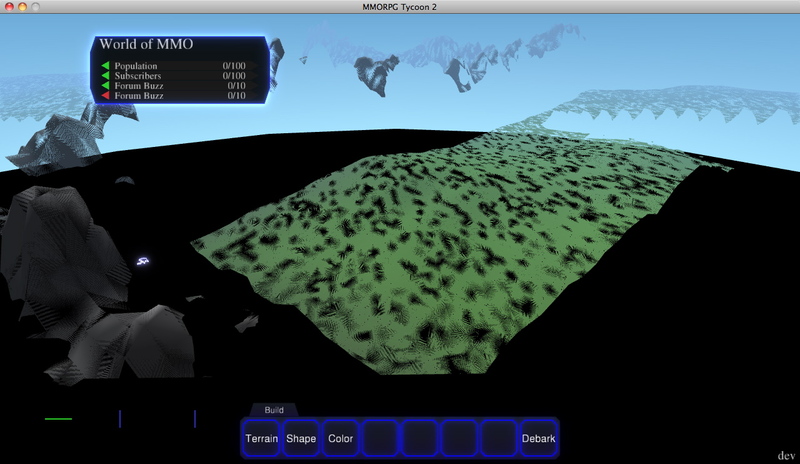 I mentioned that I had achieved some speed boosts for rendering based upon insights from gDEBugger. On the basis of that, I’ve been setting up some more intelligent rendering code which doesn’t tell OpenGL to do something that it was already doing. In brief, what was happening before was that MT2 (and all VectorStorm games) would render every object in the scene one at a time, setting up OpenGL to render that object individually (“Turn fog on. Turn lighting on. Turn zbuffer on, turn writing into color channels on, turn glow effect off, etc.”), even though 95% of those settings were the same on every object in the scene. Now what happens is that each object registers those state changes onto a new object (the “vsRendererState”), and immediately before rendering, all those queued state changes are made. Previously if (for example) the first object in a scene is using a texture and the second object is also using a texture, I’d be telling OpenGL “okay, turn on texture support”, render the first object, then “turn off texture support now”, and then “okay, turn on texture support again” before rendering the second object. Now, it leaves texture support on until it actually starts rendering an object which isn’t using a texture; it only changes the settings which are actually changing, instead of just naively setting everything. The screenshot today is what happens when there’s a bug in the code (in this case, not applying rendering state changes before performing post-render effects). 23 April, 2011 in Engine, Full Games, MMORPG Tycoon, VectorStorm.